Coach Triva Corrales goes over the game plan with the girls varsity basketball team. Corrales achieved her personal record of 300 wins with the Lady Rockets’ win against Smithson Valley. The girls basketball team has seen a lot of success thus far in their 2018-19 season. However, winning their games this year has done more than adding another point to their own record. With her win against Smithson Valley last week, head coach Triva Corrales recently received the 300th win of her coaching career. Before coming to Judson High School, Corrales had already been a head coach at Burbank in SAISD. “I’ve been really blessed [with] where I’ve been [able] to be, to have great athletes cross my path, good people, great kids, and they’re the ones that put in the blood, sweat, and tears. You know, always just the beneficiary of it,” Corrales said. She not only coaches but is also adamant about upholding the appropriate ethics of the team and making athletes better people. With the effort she has put into that, Corrales has gained a reputation for being the savior for many basketball programs. When Corrales is doing her job, she focuses and works on the present. She chooses not to think about what the future may have in store for her, even though she has proven to be successful in the programs she has been a part of. 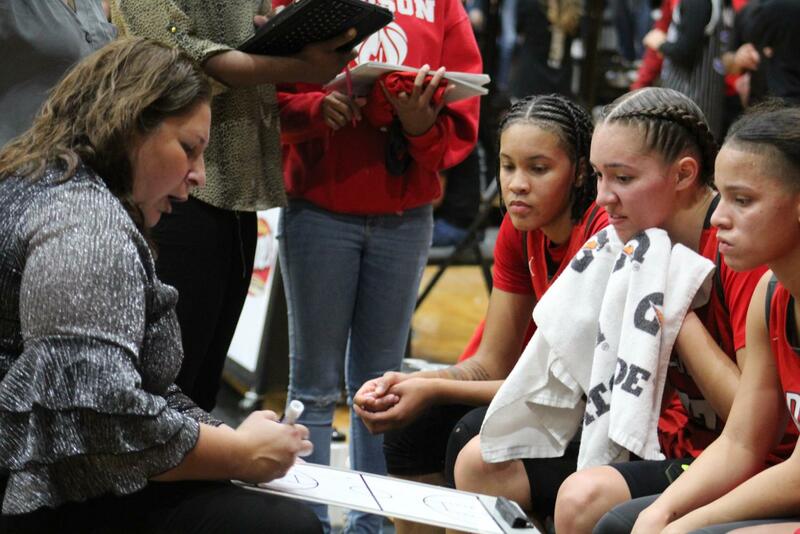 Throughout her time as a head coach, Corrales has gone above and beyond to break boundaries and create well-working teams, giving her a great name for herself and the team. A total of 300 wins is a lot, but in terms of Coach Corrales, it is no less than what she deserves. Knowing Coach, it is just another number, as she works on the present to better the future of not only her own life but all athletes she has the pleasure of coaching.